ARRL Headquarters will be Closed on Friday, April 14: ARRL Headquarters will be closed on Good Friday, April 14. There will be no W1AW bulletin or code practice transmissions and no ARRL Audio News on that day. ARRL Headquarters will reopen Monday, April 17, at 8 AM Eastern Daylight Time. We wish everyone a safe and enjoyable holiday! A disastrous landslide in Colombia overnight on March 31-April 1 left more than 260 dead and devastated the town of Mocoa. Many others are injured or missing, and search crews are scrambling to find survivors in the rubble. An emergency Amateur Radio network was activated on 40 meters (7.093-7.095 MHz, to support the relief and recovery effort. "The Mocoa and GarzÃ³n Fire Departments are aware of the network and also the additional support of HK3NOL, who is mounting additional antennas," said Roberto Rey, HK3CW. "Radio amateurs from La Plata and GarzÃ³n were critical in supporting personnel and rescuers," he said. "We're paying attention [to the situation]." Heavy rainfall in Colombia's Putumayo Province triggered the mud and rockslide after a river burst its banks and debris swept into the town, burying homes and residents. President Juan Manuel Santos declared a state of emergency after visiting the town. In his remarks, General Counsel Chris Imlay, W3KD, was complimentary of new FCC Chairman Ajit Pai and told the EC he thinks enforcement efforts may be more successful in the future, due to the new chairman's interest in the issue. Imlay also said the new chief of the Enforcement Bureau, Michael Carowitz, is reported to be "amateur friendly." He told the EC that he foresees a potential window of opportunity for improved spectrum enforcement work, as well as the opportunity to build a stronger working relationship with the FCC on all issues. The ARRL's Articles of Incorporation and Bylaws came up for discussion. A thorough review by Imlay and ARRL International Affairs Vice President Jay Bellows, K0QB -- also an attorney -- that was directed by ARRL President Rick Roderick, K5UR, identified several areas that should be addressed. Imlay's and Bellows' observations were presented to the EC for discussion, and the two attorneys were instructed to continue work on the project, building on input received from the EC. ARRL CEO Tom Gallagher, NY2RF. The EC was briefed on a report from the League's Connecticut corporate counsel Day Pitney LLP on ARRL organizational governance, with a view to modernizing it and bringing it into full compliance with Connecticut statutes. President Roderick chaired the session. In his remarks to the EC, he emphasized the need for all ARRL Divisions to focus harder on growing membership. ARRL CEO Tom Gallagher, NY2RF, offered an optimistic report on January-February ARRL finances, noting solid financial results with income above projections. Gallagher told the EC that the Membership Working Group continues to identify ways to increase membership, especially among former members or those who have never belonged to the League. The working group is developing a "lifelong learning plan" to encourage activity and development among all age groups. As its April 7 online survey deadline approaches, the ARRL Board of Directors' Entry Level License Committee is preparing for a deep dive into what turned out to be an overwhelming response. Committee Chair and New England Division Director Tom Frenaye, K1KI, said the survey's 8,000 responses, when perhaps 1,500 were anticipated, reflects the high degree of interest in the overall topic. Established by the Board in 2016, the Committee has been gathering input from the Amateur Radio community with an eye toward recommending either a makeover of the Technician license or an altogether new entry-level Amateur Radio license class. "I think it's our job to come up with the two best proposals," said Frenaye, conceding that the committee's work is fraught with details that include reaching a consensus both within the Amateur Radio community and at the FCC, which pays little attention to Amateur Radio generally. For his part, Frenaye started out thinking that a new entry-level license would be the answer, but now he's leaning more toward changing up the Technician license, in part because he thinks the FCC may be reluctant to create a fourth license class after whittling the number to three in 1999. 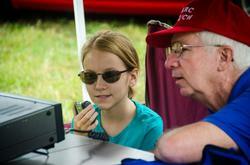 It's not just about numbers, but Amateur Radio's future. Amateur Radio growth, at approximately 1% a year, is "pretty good," Frenaye conceded, and in tune with US population growth, but he thinks it could be better, and a big step in that direction is to take a hard look at ham radio's entry gate. He suggested a new pool of prospective radio amateurs might be more drawn to the hobby from the Maker movement, for example, or from among those who tinker with computer technology or experiment with electronics -- areas with high appeal to some young people. Frenaye said a lot of young newcomers don't seem to find the current license manual very enticing, possibly due to the Amateur Radio terminology and the manual's 12th-grade reading level, which he believes should be lower. One interesting statistic plucked from the survey: Just 23% of recently licensed Technicians went through a club, while 65% studied on their own. The current Technician license is mainly a VHF/UHF license, Frenaye pointed out, with limited privileges on HF, where he believes a lot of newcomers would prefer to operate. "Either the test covers material that's not needed for a newcomer, or the privileges don't match well enough with what a newcomer needs to see in ham radio in order to decide whether to continue," he said. Technician licensees have only CW privileges on HF below 10 meters, "and CW isn't even a requirement anymore," Frenaye pointed out. He suggested some HF digital privileges may provide one incentive. The Entry-Level License Committee wants to see better outreach "on both sides of the license" -- from exam preparation to operator training and mentoring. Whether it's retooling the Technician license to offer newcomers a larger, more attractive slice of Amateur Radio privileges or developing the framework for an entirely new entry-level license, the panel wants to see a more relevant examination with privileges more appropriate to newcomers and better outreach "on both sides of the license" -- from exam preparation to operator training and mentoring. Frenaye is not afraid to respond to critics who say the entry-level license effort and such initiatives as reaching out the Maker Movement are just ARRL ploys to boost the Amateur Radio population and, in turn, League membership. "I guess the answer to that is, 'Yes, what's wrong with that?'" he said. "The more trained ham radio operators we have, the more likely we are to actually be able to keep our bands and maybe get new ones." The committee has only looked at the first "several thousand" survey responses, Frenaye said. The hard work lies ahead. "It's going to take a little time to sort through it all," Frenaye allowed, adding that the committee hopes to have a report to the Board of Directors in July. "Speech Equalization, Compression, and Processing" is the topic of the current episode of the "ARRL The Doctor is In" podcast. Listen...and learn! It seemed nothing was going to stand in the way of nine youngsters and their two teachers from Trois PalÃ©tuviers (Three Mangroves) School in French Guiana, South America, and their chance to speak with Astronaut Thomas Pesquet, KG5FYG, on the International Space Station via an Amateur Radio link. The Amateur Radio on the International Space Station (ARISS) contact was set for March 23. These youngsters in French Guiana and their teachers were very determined to speak with Astronaut Thomas Pesquet, KG5FYG, on the ISS. "I love talking to kids, their questions are often better than adults' questions!" Pesquet said on his Facebook page, which has a little video that tells the story of the contact. A small village of 180 inhabitants between the Amazonian Forest and the Oyapock River -- a natural border with Brazil -- Trois PalÃ©tuviers isn't all that easy to get to. It is accessible only by dugout canoe; the voyage takes about an hour. At the school, there is no electricity during the day, no internet; and only recently has telephone service become available. The village population is exclusively Native American, many residents having strong ties with Brazil. The school has about 50 students in two classes. To reach the location where the students would speak with Pesquet entailed not only the hour-long canoe trip but a 3-hour bus journey, and things did not quite go as planned. As the bus neared its destination, the passengers learned that roads to both their primary and back-up locations were blocked due to a strike. The only solution was to use a teacher's mobile telephone. That's how the students and their teachers ended up in the small kitchen of a private home. The contact was a "telebridge," with W6SRJ in California serving as the Earth station for NA1SS and two-way audio provided via telephone to the contact site, where the youngsters planned to ask a dozen or so questions (they had 17 ready) in French. "Notwithstanding a series of obstacles, the radio conversation between the students and astronaut Thomas Pesquet was a success," one of the teachers said. "This was Amateur Radio at its best." Club Log has become the first logging service to achieve Trusted Partnerâ¢ status for Logbook of The WorldÂ® (LoTW), ARRL and Club Log have announced. 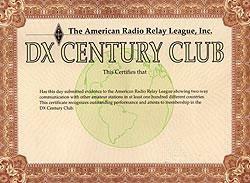 Radio amateurs holding LoTW "call sign certificates" who have uploaded logs to Club Log now can readily cross-post them to the highly secure LoTW -- the world's largest repository for confirming Amateur Radio contacts. The Trusted Partner program defines the requirements for an online service to store user credentials with acceptable security. All LoTW users, whether or not they work through Club Log as a Trusted Partner, are responsible for ensuring the security of their credentials. Individuals who rely on a Trusted Partner site for security have met the requirement to keep LoTW and their credentials secure. Users who allow their call sign certificates to be compromised or who knowingly exploit compromised credentials may lose the privilege of using LoTW and participating in ARRL-sponsored award programs. Club Log has implemented security at the level required by the Trusted Partner program, as verified by ARRL's Information Technology Department. Trusted Partners are re-verified periodically to remain in the program. More information on technical specifications and on current Trusted Partner program members is available on the ARRL website. Other logging sites are invited to join the program by implementing the Trusted Partner standard. Midway and Kure Islands have been placed on the list of deleted DXCC entities, effective as of August 26, 2016. This came about as an unintended consequence of action last summer by then-President Barack Obama that expanded the PapahÃÂnaumokuÃÂkea Marine National Monument to include the northwestern Hawaiian Islands west of Ni'ihau Island, making it the largest contiguous protected conservation area under the US flag. Midway (KH4) had qualified for DXCC status by virtue of its being governed by a separate administration. Because it is now under the administration of PapahÃÂnaumokuÃÂkea Marine National Monument, it becomes a deleted entity. Approximately 50 people live on Midway, including US Fish and Wildlife Service staffers and contractors. The Battle of Midway, a turning point in the Allied World War II Pacific Campaign, took place in June 1942. Now uninhabited, Kure Island (KH7K), a part of Hawaii, is separated from the rest of the state by Midway; because of that, it had qualified for DXCC status under Section II, 2 (b) (iii) of the DXCC Rules -- separation from its "parent" Hawaii. Midway Island's change in DXCC status in turn made Kure Island no longer eligible for DXCC status, because Kure no longer is separated from the rest of Hawaii by intervening land or islands that are part of another DXCC entity. Neither Midway nor Kure was able to be activated without prior permission, and then only for a planned DXpedition. Only contacts made on August 25, 2016, or earlier will count for these two entities. Read more. ARRL has clarified its rules for all contests to clearly prohibit the practice of interleaved CQs -- also known as "dueling CQs" -- on two or more frequencies in the same band. The clarification is an extension of existing rules that permit only "one transmitted signal," and it formalizes what had been a "gentleman's agreement." 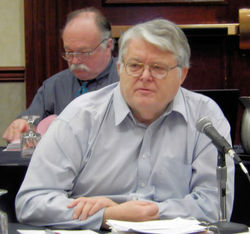 "ARRL reviewed it, concurred that this is technically occupying two channels, and in consultation with several members of the Board of Directors -- who had been contacted by concerned parties -- and the Programs and Services Committee, it was concluded we needed to 'clarify' our existing rules," ARRL Contest Branch Manager Bart Jahnke, W9JJ, said. An explanatory paragraph points out, "The intent of the rules has always been that a participant would use/occupy only a single channel in a given band, changing frequency in band from time to time, leaving a CQ frequency to work a multiplier or to change the CQing frequency as band occupancy or changing propagation dictated, and this rule's clarification will now give the needed added clarity to that intent." The issue arose when a multioperator team successfully employed in-band interleaved CQs in the last ARRL International DX SSB event, substantially boosting their score. The topic subsequently occupied a lot of bandwidth on the CQ-Contest reflector, where elite contester Frank Donovan, W3LPL, observed, "That doesn't make it right for [a contest station] to follow this practice that is generally understood to be unacceptable behavior by all of the rest of us." At the time of the event, however, ARRL rules did not explicitly prohibit the practice, and, as another top contester, Steve London, N2IC, asked, "Falls under the 'what is not specifically prohibited is allowed' rule?" The update brings ARRL's contest rules in line with those of CQ-sponsored contests, which already prohibit the practice of in-band, interleaved CQs. The IARU HF Championship Contest bans the practice for multioperator entries. Read more. You might be a rookie and not even know it! The definition of a rookie has been changed for the Rookie Roundup, making it possible for more radio amateurs to qualify for the "Rookie" category. Rookie Roundup is a 6-hour operating event aimed at radio amateurs licensed for 3 years or less. Operators first licensed in 2015, 2016, or 2017 already qualify as Rookies. Starting with the April 17 SSB event, however, operators licensed before 2015 may enter as Rookies, if they made their first Amateur Radio contact during 2015, 2016 or 2017 -- or if they have never made a contact using the mode of the Rookie Roundup (i.e., SSB for April, RTTY for August, and CW for December). These operators should send 2017 in their exchange, and those qualifying for either of these reasons will be Rookies only for 1 year. Rookie Roundup is the third Sunday in April (SSB), August (RTTY), and December (CW). Rookies may work any station. Non-Rookies may only work Rookies. Final scores from the winter term 2017 running of School Club Roundup (SCR) in February have been posted online. SCR is sponsored jointly by ARRL, its Hudson Division Education Task Force, and the Long Island Mobile Amateur Radio Club (LIMARC), with the goal of fostering Amateur Radio contacts with and among school radio clubs. LIMARC receives and checks submitted logs, then passes the results to Bruce Horn, WA7BNM, for posting. The Elementary/Primary School winner was the Russell Elementary Amateur Radio Club (KM4RE) in Georgia. The Middle/Intermediate/Junior High School victor was Schofield Middle School (N4SMS) in South Carolina. 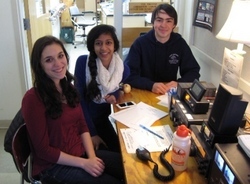 Topping the High School field was the LASA High School Amateur Radio Club (K5LBJ) in Texas. Case Western Reserve University (W8EDU) took first place in the College/University category. Free App Allows Blind Hams to Work PSK31: A new, free app -- Accessible Digipan -- has been released that allows blind hams to operate PSK31. The download includes the app, audio tutorials, detailed written guides, and additional helpful resources, plus DigiPan PSK31 and PSK63 software. ARRL member Richard McDonald, KK6MRH, and Jim Snowbarger, WA0PSS -- both blind -- developed the program. "Until now, blind hams worldwide have not had any accessible program to work PSK31," McDonald said. "Now they do." Accessible Digipan brings together the most popular screen reader, JAWS, and DigiPan, McDonald said, and the app will work with many different kinds of rigs, interfaces, and Windows versions. Former Kansas Section Manager Orlan Cook, W0OYH, SK: Former Kansas Section Manager Orlan Cook, W0OYH, of Shawnee Mission, died on March 28. An ARRL Life Member, he was 85. Cook served for 5 years as Kansas SM, taking office by appointment in 1997 and serving until 2002. He was an ARRL Official Relay Station (ORS) and Official Bulletin Station, and for the past decade or so, he served in an informal public information role as editor of the KAR (Kansas Amateur Radio) newsletter. Former Sacramento Valley Section Manager Ron Murdock, W6KJ, SK: Former ARRL Sacramento Valley Section Manager Ron Murdock, W6KJ, of Yuba City, California, died on April 1. An ARRL Life Member, Murdock was 76. "Ron's passion for serving our Amateur Radio community was truly inspiring, and he will be sorely missed," said current Sacramento Valley SM Dr. Carol Milazzo, KP4MD. Murdock was a US Air Force veteran, who flew 300 combat missions as a B52 radar navigator. He also worked as a substitute teacher for 15 years. 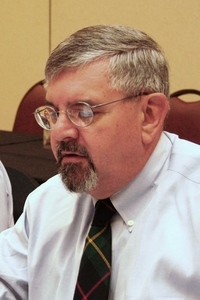 Murdock served as ARRL Sacramento Valley Section Manager from 2007 until 2015. He was an Emergency Coordinator from 2005 to 2008, and he was serving as Affiliated Club Coordinator, Assistant Section Manager, Bulletin Manager, and Official Bulletin Station. VHF/UHF/Microwave Pioneer Don Hilliard, W0PW, SK: A pioneer on VHF, UHF, and microwave bands, and the designer of a popular Yagi model, Don Hilliard, W0PW (ex-W0EYE), of Clayton, Oklahoma, died on March 25 following a lengthy period of ill health. An ARRL member, he was 81. " Over the decades, Don made numerous contributions to the hobby and specifically in the VHF, UHF, and microwave arena of Amateur Radio," said Bill Mc Caa, K0RZ . "He was a pioneer in developing the first amateur equipment for the 900 MHz band in 1983 in anticipation of the band becoming available for amateurs. Don was a founding member of the Central States VHF Society in 1967, as well as of the Microwave Update in 1985." Hilliard's Yagi design, based on unpublished work by Peter Biezbicke at the National Bureau of Standards, was legendary in the VHF/UHF community. The antenna was described in "The World Above 50 MHz" ("15-Element Yagi by W0EYE") in the January 1972 edition of QST. 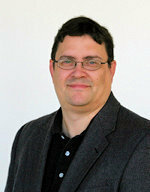 Hilliard also authored articles for QST and QEX. Former TAPR President Greg Jones, WD5IVD, SK: Past TAPR President Greg Jones, WD5IVD, of Denton, Texas, died on March 30. He was 54. Jones was a professor in the Department of Learning Technologies within the College of Information at the University of North Texas, where he received his bachelor's and master's degrees. He received his Ph.D. in Curriculum and Instruction at the University of Texas, and was the author of numerous scholarly articles. He served as TAPR's president from 1993 until 1999. "I am very proud of my time at TAPR," he once wrote. "I was able, with the help of so many, to take TAPR from the brink of going away into a strong, living organization that 10 years later is still doing important research and education in Amateur Radio digital communications." 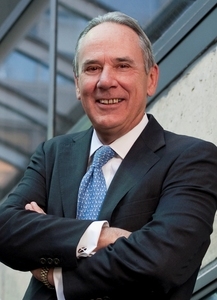 He contributed to QEX in the early 1990s. Tad Cook, K7RA, Seattle, reports: Sunspot numbers and solar flux made a strong comeback during the March 30-April 5 reporting week. The average daily solar flux was 96.5 -- up from 77.9 over the reporting week and 71.2 the previous week. The average daily sunspot number progressed from 3.4 to 29.7 to 65.9 over the same 3 weeks. 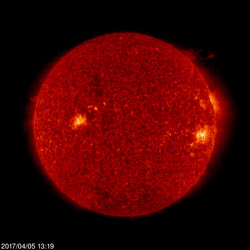 The latest daily forecast for Planetary A index and solar flux from NOAA and USAF (updated daily) shows solar flux at 85, 80, and 75 on April 6-8; 70 on April 9-10; 75 on April 11-14; 78 on April 15-16; 85 on April 17-19; 72 on April 20-23; 88 on April 24-27; 85 on April 28-29; 105 on April 30; 100, 97, 92, 85, and 80 on May 1-5; 75 on May 6-7; 78 on May 8-9; 75 on May 10-11; 78 on May 12-13; 85 on May 14-16, and 92 after that, out to 45 days from now. Predicted planetary A index will be 8 on April 6-8; 5, 8, 10, and 8 on April 9-12; 5 on April 13-16; 20, 18, and 10 on April 17-19; 5 on April 20-22; 55, 28, 20, 22, and 28 on April 23-27; 15, 10, 8, 7, and 6 on April 28-May 2; 5 on May 3-13, 20, 18, and 10 on May 14-16; 5 on May 17-19, and 55 on May 20. The story "New Bands! FCC Issues Amateur Radio Service Rules for 630 Meters and 2,200 Meters," in the March 30 edition of The ARRL Letter, requires clarification regarding the effective date of the new rules. The fact that the new rules contain a new information-collection requirement -- notification of operation to the UTC -- makes it difficult to predict an effective date. According to the FCC Report and Order (R&O), the Office of Management and Budget (under the Paperwork Reduction Act) must first approve the information-collection requirements in Â§97.303(g)(2) of the amended rules. Once that happens, the FCC will publish a notice in The Federal Register "announcing such approval and the relevant effective date."